Another year down and somehow I have managed to keep these safelist stats coming in every month. It’s been almost two and a half years! So I just wanted to thank you all for your support over the years. I think the big news from last month was the launch of the new “List Hoopla” ranking service from the creator of Traffic Hoopla. 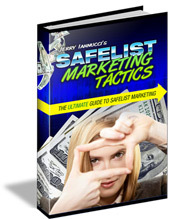 List Hoopla ranks the top safelists and viral list builders every week. How does that compare with what I do here? List Hoopla uses a complex formula comparing traffic, conversions, bounce rate, and even how much they were paid in commissions. I simply go by the number of sign-ups I received. Not very scientific but I am a simple man. While our rankings may not be identical comparing both lists should give you the best sampling of what safelists and viral list builders are producing the best results right now. The top ranked site on List Hoopla this week is YourEZlist. As you can see YourEZlist doesn’t appear on my list at all. That’s because I wasn’t a member until a few days ago. I’m in now and I look forward to comparing my stats next month. Email Hog was hacked. Most of their databases were corrupted so site has been down since mid December. Quite a bummer since I had just joined and was already getting very good results. They hope to have everything up and running again by Jan 15. 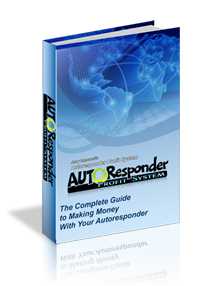 State of the Art Mailer has a referral contest going on until they reach 20,000 members. I mention this only because I am in second place and I want to win! Oh, they are also a great mailer and well worth the cost of the upgrade. Now go join! Here’s how it works. Every day I promote a series of squeeze pages for my ebook Safelist Marketing Tactics on 30-40 different safelists and viral list builders. I use a link tracking service that shows me how many hits I receive from each mailer as well as how many new subscribers I received. I should point out that I do have upgraded memberships on most of these sites which often allow me to send my ads to more members and more often. I also spend time every day clicking emails for credits which allow me to send my ads to the maximum number of people as often as possible. Your results may vary. Kind of a crazy month. I think I will let the numbers speak for themselves. Don’t forget that these are my own personal stats based on my own marketing efforts. I provide these stats only to show you what safelists and viral list builders are currently working best for me and to give you some suggestions for new mailers to try. Your results may be completely different from mine. The only way to determine which sites work best for you is to track your own stats. You can get the same link tracker that I use for free from TE Toolbox. Subscribe now to be notified when this blog is updated. Not a member of CTP?